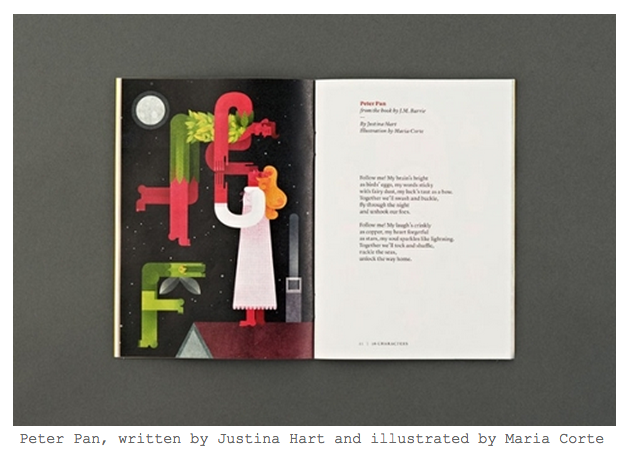 So great to see that a project I’m involved in, 26 Characters, is this morning’s Design Week We Like pick… Having received my copies in the post a couple of days ago, I’m not surprised – it’s a lovely thing, with beautiful illustrations. 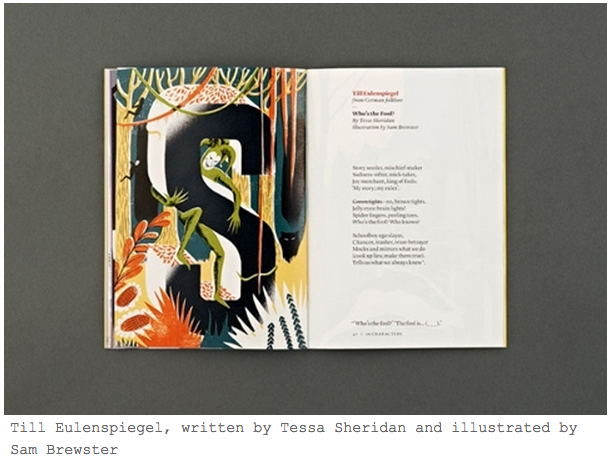 The book sees 26 children’s literary characters – from Mary Poppins to Merlin – reimagined by 26 writers (of whom I am one – see A Father’s Duty) and 26 leading illustrators. 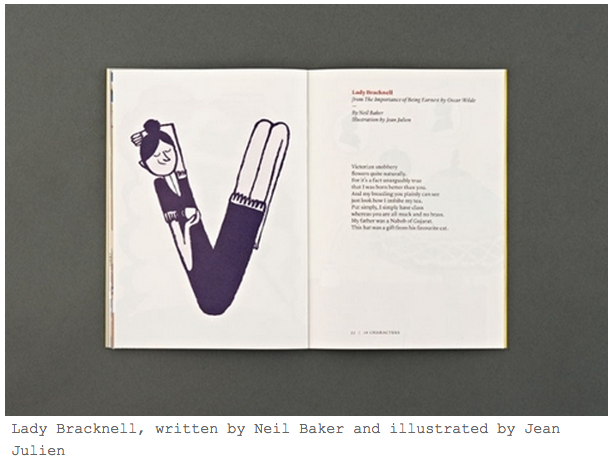 This book came about thanks to The Story Museum’s 26 Characters exhibition in Oxford. We writers were asked to respond to portraits of leading authors taken by celebrity photographer Cambridge Jones. 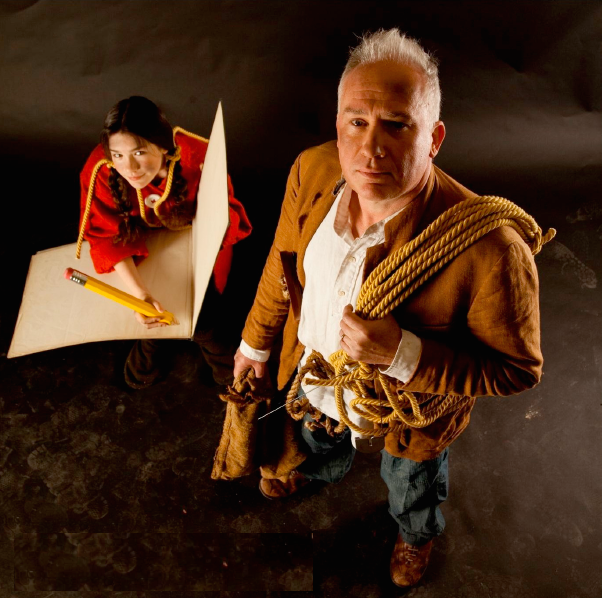 The author subjects, including Malorie Blackman, Philip Pullman and Julia Donaldson, were dressed as their favourite childhood literary characters for the portraits, which featured in the museum’s inaugural exhibition. Our written responses to the portraits had to be in the form of a sestude – a poem of 62 words exactly (26 in reflection – 26|62 – a form of verse invented by writers’ collective 26 to reflect our name, itself inspired by the number of letters of the alphabet). 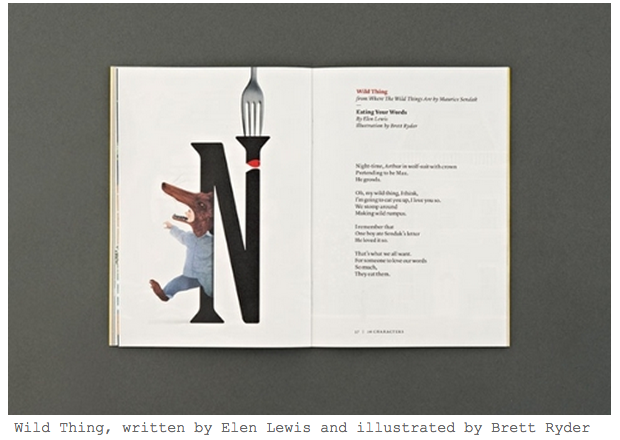 Each of us was given a letter of the alphabet as our starting point, and the completed sestudes were then passed to the illustrators. Here’s the portrait which inspired my little poem: Ted Dewan and his daughter Pandora dressed up as Pod and Arrietty. 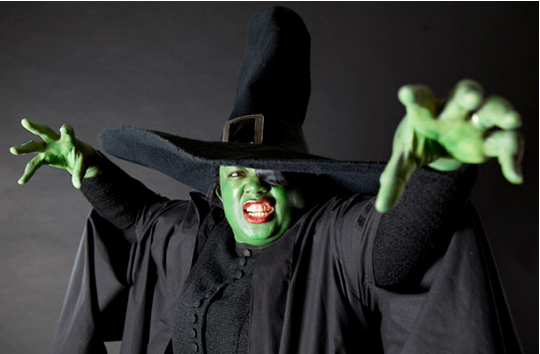 I’m looking forward to visiting the exhibition proper in a couple of weeks’ time but I’ve already relished seeing authors throw off their inhibitions to personify a favourite character from a childhood book – just look at how gleefully Malorie Blackman embodies The Wicked Witch of the West! 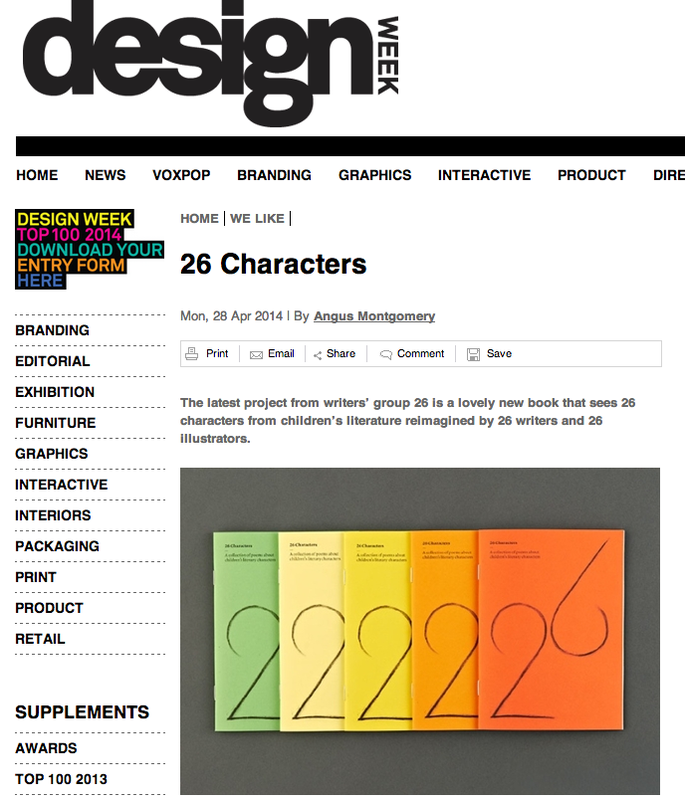 The 26 Characters booklet is available here, priced at £5.